Communicating with you should be so easy, but sometimes it’s ridiculously difficult. So many words look as if they should mean the same thing, but then they don’t. Take the cookie trail, for example. We (Brits, that is) all know that when you say “cookie” you mean biscuit. 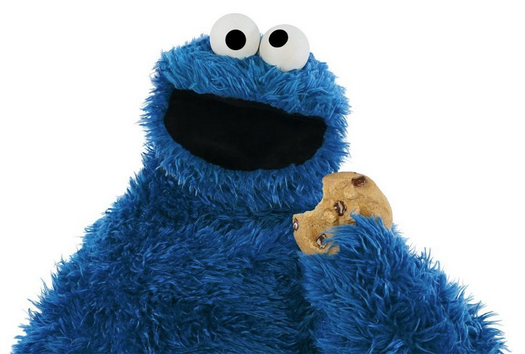 (As children, we were friends with Sesame Street’s Cookie Monster too.) But before we moved to America, I had no idea that when you say “biscuit” you mean savoury scone. Or that when you say “scone” you’re talking about a doughnut. Or that when you say “donut” you’re referring only to those boring doughy rings with sugar on them that rarely even feature in a British bakery, not the proper, jam-filled variety. How are we meant to have a sane and sensible conversation, when we don’t even use words in the same way? Whoever it was that said we’re “two nations divided by a common language” was spot on.